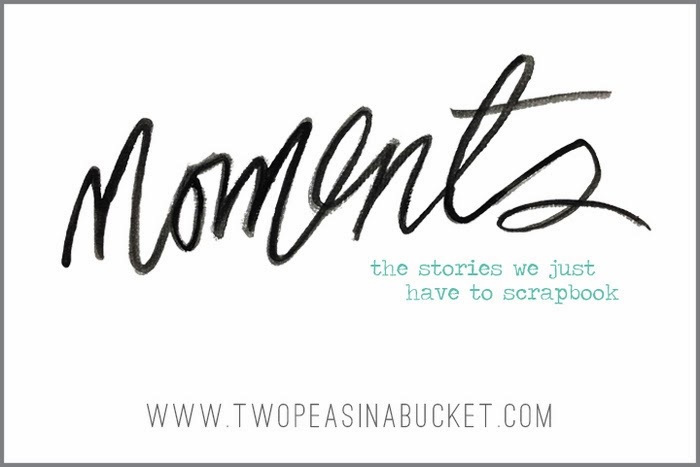 The weekly sub-theme is MOMENTS - the stories we just have to scrapbook. So, with all of that in mind, I drew my inspiration from the quilt on the bottom right section of the moodboard - OF COURSE! Description: Since I'm the one in the family who takes all of the pictures wherever we go, I find it difficult to be the one in front of the camera because I'm always behind it! But there's nothing like a good ol' "me-themed" assignment that will get me to take some selfies! I even straightened my hair and put on make up just for this photoshoot :) Then I parked myself in front of our big window for lots of natural light and snapped away. I love that I have some pictures of me right now at this point in life. Journaling says: Feeling so blessed and incredibly happy with my life right now. Written how to: Punch 1" triangles from pink, blue, red, and black patterned papers then arrange them in rows at an angle across an aqua ombre patterned paper layout base. 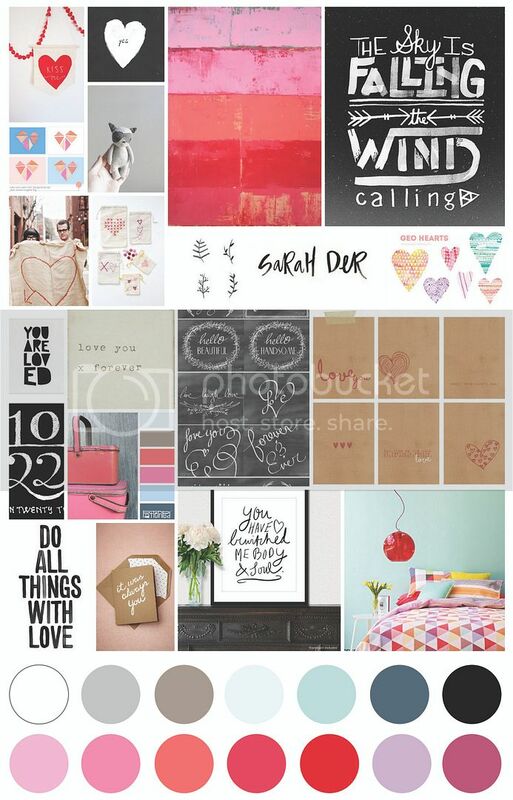 I chose the ombre paper because of the pink ombre in the moodboard. Once all the triangles are adhered, sew across the top of each row to keep them in place permanently. Die cut a title and frames from white cardstock, print the monthly printables, then arrange them along with photos across the center of the layout. Drop India ink over the top right and bottom left sides. Scatter badges, fabric brads, and round printable die cuts around the layout as shown. Stamp the date on a date printable label and tuck it under the left photo. Journal on the bottom right edge. 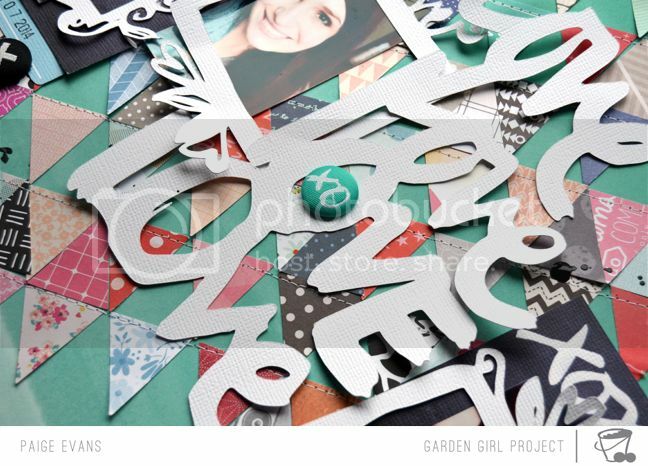 Next Garden Girl layout coming in a couple of weeks - can't wait to share! 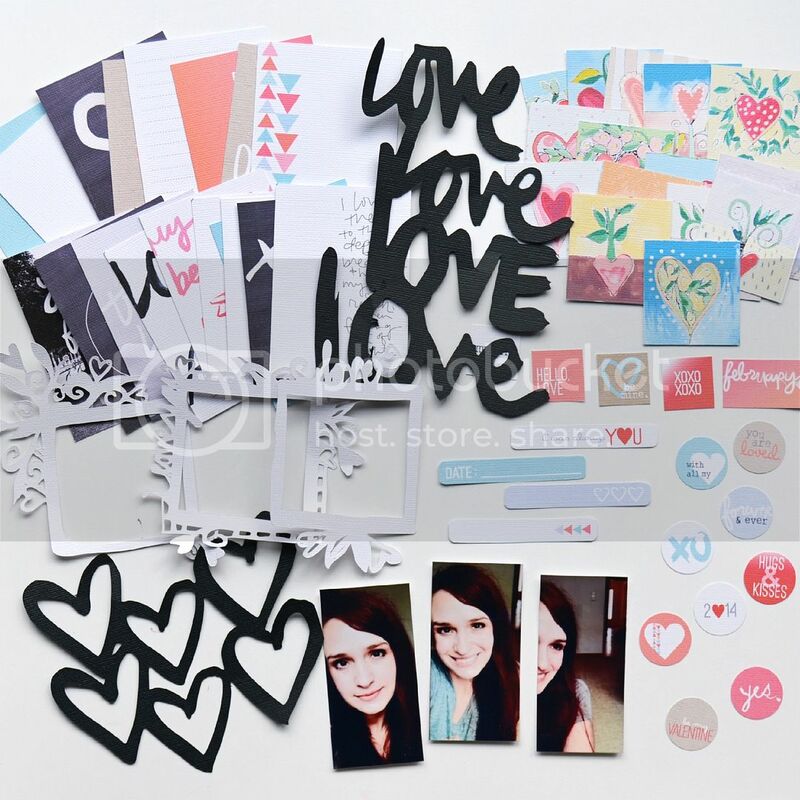 Such a pretty layout and yeah for scrapbooking about you!! This is fabulous! I loved this page! Those color swatches make me happy! These are soooooooo gorgeous! I love love love the "love's"!!!!!!! 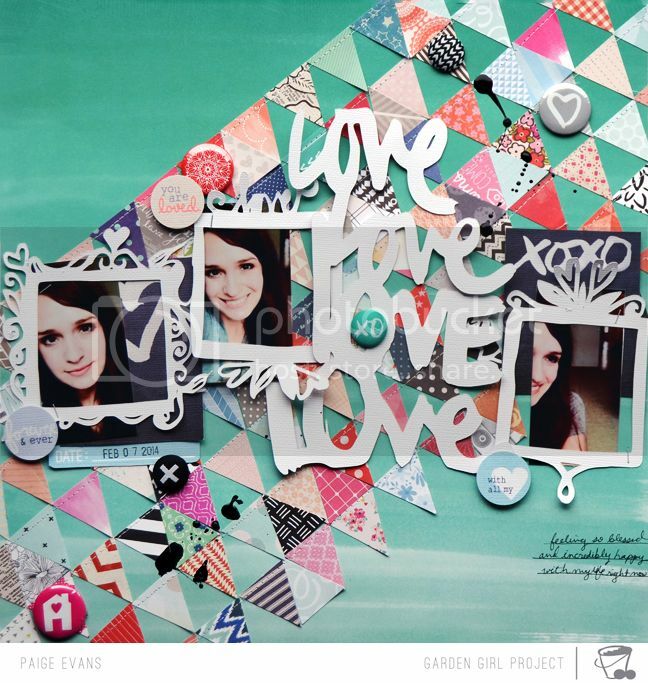 Love the diagonal design with the triangles, Paige!! So awesome! You rocked this layout and video!! Love seeing your creative process, Paige!